Palestine’s continuing membership of UNESCO has become far more tenuous and now faces increased scrutiny following a decision by the Office Of The Prosecutor (OTP) of the International Criminal Court (ICC) that Palestine is not a State. The OTP decision was announced on 3 April - more than three years after Palestine had first sought to become a State party to the Rome Statute of the ICC. Sixteen legal opinions were submitted to the OTP - arguing both for and against the claim that Palestine was a State. Hopefully UNESCO might at least now take the issues I have raised concerning Palestine’s admission to UNESCO more seriously - and not sit pat and smugly refuse to address my concerns. I have sought in vain for the last five months to have UNESCO produce any documents which its Executive Board may have considered before concluding that Palestine was a State - qualifying to be admitted to UNESCO. My requests to produce copies of such documents have been ignored. UNESCO has made it clear the matter is closed and is not to be the subject of any further discussion with me. In contrast to UNESCO’s lack of transparency - the sixteen legal opinions lodged with the OTP can be viewed on the ICC website. The legal opinions or other documents UNESCO relied on (if any) are being withheld from public scrutiny. Has UNESCO something to hide? I don’t really know at this stage - but its arrogant and high handed conduct needs to be exposed and justified. Significantly some UNESCO documents have now come to light - from a source other than UNESCO - that make the decision of the 58 members of the Executive Board of UNESCO to recommend the admission of Palestine very intriguing. 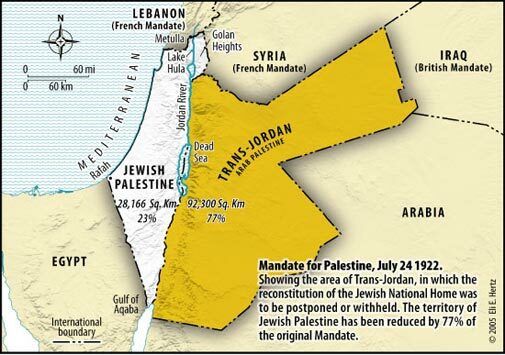 At the time of Palestine’s initial application in 1989 - Israel had submitted an opinion arguing that Palestine was not a State. Given that the 1993 Oslo Accords were then only a twinkle in someone’s eye - Israel’s viewpoint could not be seriously challenged - notwithstanding Yassar Arafat’s vacuous Palestinian Declaration of Independence made on 15 November 1988. After 1993 and more particularly after the Bush Roadmap saw the light of day in 2002 - Palestine’s request for membership in UNESCO continued to be reiterated at every General Conference meeting without success. The question that UNESCO now needs to answer is - what facts or circumstances changed in 2011 to enable the Executive Board of UNESCO to conclude that Palestine was a State and qualified to become a member of UNESCO? But it cannot and should not be tolerated when UNESCO is now faced with a formidable body of legal opinions that Palestine is not a State. 3.The end of meaningful negotiations for the two-state solution envisaged by the Oslo Accords and the Bush Roadmap - with manifold implications for resolving the long running conflict between Arabs and Jews. The fact that Palestine might not legally be a State should surely see some of those 87 naysayer states proposing that UNESCO submits a brief to the ICJ seeking its advisory opinion on whether Palestine’s admission to UNESCO does comply with UNESCO’s Constitution - or does not. Failure to do so can only result in foreseeable and possibly unforeseeable consequences - not only for the hopes and aspirations of Jews and Arabs in the Middle East - but for UNESCO’s global community. The OTP decision serves as a clarion call for UNESCO to open its records and approach the ICJ without further delay.